Do you ever think of your future - dream about becoming an astronaut, a surgeon or a wildlife photographer? What if animals too have such ambitions? What if a rhesus monkey wishes to be a school bus driver or a hard-working donkey wants to be a movie star? Just imagine what they would do to get what they want! Pavan, an over-worked camel in the city of Ahmedabad, India, hates his job. He often dreams of being a racing camel in Dubai. But hitched to a heavy vegetable cart and with his owner Motabhai around, how is this possible? One day, Pavan finds a way to escape with a little help from some kind-hearted children. He makes a mad dash through the city along with Bijilee, a dhobi's donkey whom he befriends on the way. Can you imagine the riot that this pair causes in the narrow, bustling streets of old Ahmedabad, as they race past its historic monuments, with Motabhai, an auto-driver, a policeman and a washerwoman hot on their trail? 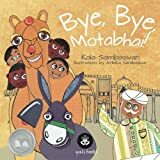 Kala Sambasivan is a prolific and inventive children's writer. She has published numerous stories in India's leading newspapers and currently, has two long-running columns in The Hindu and Deccan Herald. Her delightfully whimsical tales engage children in complex issues, such as conservation, with humor and creativity. Read some of her hilarious stories at kalasambasivan.wordpress.com.